Becoming an integral part of Indian armed forces is a dream of today’s youth. To join defence sector one need to be perfect in handling complex and difficult tasks. Army officials toil day and night to be successful in their career. To pursue the career in defence, one can secure challenging and attractive positions in Indian armed forces. To join Armed forces one need to take one of these exams viz SSB, NDA, CDS, AIRFORCE, AFCAT, TES, IMU CET to secure their career in Indian Navy, Merchant Navy, Territorial Army, Assistant Commandant. To crack these exams one need to make command on English, History mathematics and general ability. The exam will be objective type and covers mathematics and general ability test. After written exam candidate need to undergo tough SSB interview round which are of 5 days. After that candidate are said to be qualified for defence exam. Candidate need to toil hard to prepare for this exam as defence exams are toughest entrance exam. DCG Defence Academy Preparation is the key for success in defence exam. Apart from coaching self study plays very important role in preparation of defence exams. Candidate need to locate best study material for defence exam for which candidate can seek help from coaching institutes. Many institutes provide compiled study material of all the subjects of defence exam which helps the candidate to prepare for this exam. DCG Defence Institute study material is rated as the best study material for defence exam preparation. Our study material is designed by top army officials and ex-colonels. DCG Defence Classes exam preparation requires dedication and continuous effort to make your dream come true. Most attractive thing about banking exam is that it can be taken by the candidate of any stream. There is no condition of specific qualification to take this exam. Graduate Candidates with 60% marks are eligible for appearing in these exams. Banking industry is renowned, as it guarantees secured job to the qualified applicants. Banking exam is easy to cracked by the candidate who have command on quantitative aptitude, reasoning, English and current affairs. The selection in banking exam depends on performance in written exam and interview. The written exam covers the syllabus up to higher secondary and graduation. Candidate who has strong basics in these subjects can crack the exam easily. Now a day’s IBPS conducts the combined entrance exam for banking jobs. To enter in banking industry one need to take Bank PO /Clerk, IBPS PO / Clerk , SBI PO / Clerk , CWE, RBI exam. These entire exam need focus and determination while preparation. Many applicants are able to crack exam in first attempt with quality time preparation. All the questions are of multiple choice and 0.25 marks are deducted for every wrong answer. After clearing written exam shortlisted candidates are appeared for interview. Based on the interview candidate is selected for banking posts like clerk and PO. IBPS score is considered by public and private banks for selection of the candidate in banks. Many coaching institutes have come up that prepares the candidates for banking exams. Delhi Career Point is the Best Coaching Institutes for the Bank Examination in Delhi. Expert coaching from our institute provides enormous help to the students to crack bank exams in first attempt. Many bank officials are our alumni. We have satisfied many candidates with our coaching. Chartered Accountancy field attracts both finance and commerce students. After completing +2 Commerce students dreams of becoming Chartered accountant or CS Company Secretary. Both these professions are highly attractive and candidates are highly paid in this. To get through CA and CS one need to take competitive exams which consist of multiple stages. CA and CS exams are taken every year. Each stage is competitive and requires effort to clear this. CA and CS exams are not everybody’s cup of tea. Right guidance and conceptual clarity is what is most important in cracking CA and CS exams. To get into CA one must take IPCC i.e. Integrated Professional Competency course. The first step of IPCC is to take CA CPT (Common proficiency test) or graduation with 55% marks. Common Proficiency test is taken by the candidate after +2. CPT is objective type paper of 200 marks. CS Exam consists of three stages i.e. foundation program, executive and professional program. Once candidate has qualified foundation program he is eligible for the next subsequent stages. CA and CS exams require guidance and right information which can be taken from the coaching institutes. Many coaching institutes provide training for these exams. Delhi Career Point assists you with excellent coaching for IPCC and CS exams. The study material provided by our coaching institute is excellent in terms of syllabus coverage and quality of content. Study material is prepared by the Chartered accountants and bankers which helps the candidate to get through these exams easily. Mock tests and revision exercises are given to the students for better results in CA and CS exams. Law is treated as the honorable career. Anyone who has traits and passion for this field can opt for this as a career. Candidate need to explore options right after completing their higher secondary. To pursue career in law field candidate need to LLB or LLM. To get admitted in top 17 national universities one need to take CLAT Exam for LAW/LLB. Once candidate crack CLAT exam he can join LLB after clearing LLB candidate can start pursuing his career in the field of law. The CLAT exam is objective exam comprises of Mathematics, GK, English, current affairs, Legal reasoning and aptitude questions. CLAT & Law Entrance Exam score is considered by the affiliated universities and renowned private institutes to give admission in law degree. Candidates need to prepare well for these exams. Lot of institutes is providing coaching for CLAT exam to fulfill the dreams of law aspirants. Candidate can join coaching institute to get all the information about the exam under one roof. Right guidance when clubbed with quality teaching preparation guarantees success in the exam. This exam is not that tough to be cracked. Proper focus and preparation is must to clear this exam in first attempt. CTET and State TET exam is conducted for recruitment of teachers in teaching field. This test investigates the inner skill of a teacher to justify that an individual meets minimum standard of teaching and training. In State this test is named as State Teacher entrance test. This test is conducted by CBSE twice in a year. The score in CTET is considered by all private and public schools. Now days it is mandatory for a candidate to clear CTET exam to pursue their career as teachers. There are two phases of these exams: Paper I and Paper II. To get eligible candidate need to score 60% marks in the test. After that the candidate is said to be CTET qualified. To crack this exam the questions come up to the level of standard V. Candidate need to build strong basics from Class I to 5th. These exams have taken the real picture from last 4 years. Earlier teacher need not to take this test. Now days this test has become more competitive as on State Basis Like HTET, UPTET. Negative marking is also applicable 0.25 mark is deducted for every wrong answer. Lot many coaching academies have come up to train the candidate to crack this exam. As in this exam in limited time the candidate need to attempt more. Time management is very important else the candidate can’t attempt full paper. In coaching centre the mock test helps the candidate to see how much time is to be spent on particular section. One must join coaching institute to get right guidance and training for CTET Exam. 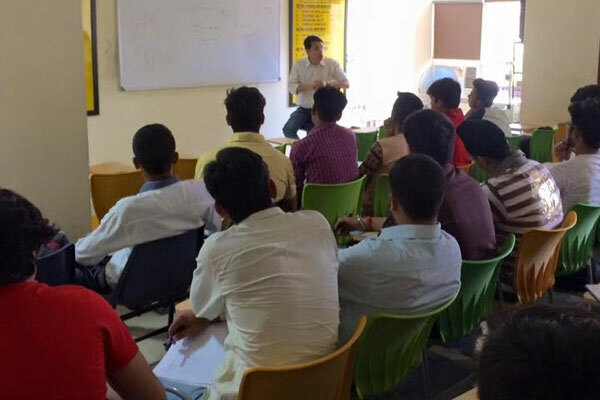 Delhi Career Point is one such place that provides the candidate with the best coaching and guidance. Hotel Management Industry is the booming industry. There is lot of opportunity to build career in this field of Hotel Management Exam there are many chances of employment. To pursue the career in this field candidate require the command on practical knowledge than theoretical one. To take admission in the reputed institution one need to take hotel management entrance exam which is conducted at national level. After completing higher secondary the candidate can appear for this. After clearing the entrance exam the candidate can take admission in UG/PG course at reputed institution and secure his future in hotel industry. As candidate who is pass out from these reputed institutions secure good positions in the industry. To clear this exam candidate need to prepare well for administration of hotel industry and should work on vocabulary and Speaking skills which are the key requirements of this industry. To get proper knowledge candidate can seek help from coaching institutes. There are lot many institutes that prepare the candidates for Hotel management exam preparation. UGC NET and CSIR NET exam is conducted by CBSE board twice in a year. This test is conducted in the month of June and December. Every year thousands of applicants apply for these exams and only limited applicants are able to get through the exam. The candidate needs to score good to be placed in merit list. UGC NET exam is considered as the toughest exam. Right guidance and self study is key for cracking this exam. UGC NET Exam is taken by the aspirants who want to excel in teaching and research. The score of UGC NET is considered by all the professional colleges. In pursuit of this candidate can search best coaching institute that prepares the candidate for UGC-NET exam. Once the candidate qualifies this exam he is appointed as assistant professor in college or professional institute. CSIR NET Exam is conducted to check eligibility for university of college level lectureship and for award of JRF. This exam justifies the standard of a lecturer and professor. Aspirants are taught tips and tricks to clear this exam. Through mock test series candidate can get an idea and skill to attempt the exam. Join the best coaching institute that can aid you with everything to crack this exam in first attempt. Staff service commission exam preparation requires hard work, dedication, focus and most important best guidance. Self study is important but without guidance or coaching candidate may not be able to crack this exam in first attempt. As key points for the exam are known by top officials catering this field. To locate for best coaching for SSC CGL, SSC CLERK, SSC DEO, , SSC LDC, SSC CHSL exam preparation. Look at the past results and teaching faculty of the institute and then choose the coaching institute that clicks your mind. Candidate can attend demo class to know the skills and quality of teaching. Delhi Career Point results speak itself for SSC Exam Preparation. Our experts are dedicated towards providing the right guidance and atmosphere to the candidate. Each and every concept is taught in detail beyond subject teaching candidates are taught shortcut tips and tricks to crack this exam. Candidates are given previous year exams and mock test series which help them know the pattern of the exam. These techniques help them to know the time and through this candidates are able to attempt the whole paper in stipulated time. Main attraction of our institute is that we give attention to every student. Special sessions are planned for weak students. Certain areas are to be given emphasis for SSC exam preparation like reasoning, Quantitative Ability, Math, GK and English. Study material for these subjects is provided at our coaching institute. Our study material proves to be the best for SSC Exam preparation. Delhi Career Point is the best coaching institute for Police exam that provides coaching for Delhi Police, Punjab Police, Haryana Police, and Chandigarh Police and UP Police Govt. Exam since 2006. Our Academy Institute prepares the students for written exam and interview for posts in Chandigarh, Haryana, Punjab and Delhi. Delhi Career Point is endowed with the skilled and professional teaching staff for preparing the students for Police exams. Aspirants come from the different states of India for preparation of this exam. Lesser number of coaching institute that focus on preparing the candidate for police exam. We are the pioneer institute for Police exam. Many police officials of Haryana and UP are our alumni and have rated our content as the best and most useful from the exam point of view. We have got good success rate in Delhi and Chandigarh Police. We have specialized staff members who provide coaching for SI and constable exams. Many students from Punjab have got selected by joining us. Police exam selection is based on written test and physical test. Every student is appointed with the coach who will guide and prepare them for physical round. Aspirants are prepared for physical efficiency test as well as for written test. Special batches are planned for the working candidates. We offer the flexible timings for the candidate who wish to take coaching from us for Police entrance exams preparation. Teaching is most reputed and demanding profession. KVS (Kendriya Vidyalaya Sangathan) is foremost institute for the recruitment of teachers at All India Level. KVS places the teachers for different post like TGT, PGT and PRT. Candidate can track the official website of KVS for taking the information about these exams. Once notification is there for teaching posts the candidate is open to apply for the KVS, TGT, PGT, PRT jobs. To be selected for KVS posts the candidate need to crack these exams. Once qualified the candidate is eligible to get job in reputed teaching institute that secures the future of the candidate. Written test and interview are the two phases of selection. The performance in test matters a lot as it open the door for the selection of the candidate for KVS posts. The exam of 200 marks covers objectives type questions from English, Hindi, current affairs, GK, reasoning and teaching methodology. Delhi Career Point is the renowned for providing coaching for KVS (PGT/TGT/PRT). Delhi Career Point provides coaching classes to crack this exam. Our Institute provides the specialized coaching from specialized faculty for every different subject. We guarantee success of the candidate for the exam. Our results speck it. Our dedicated expert prepares the study material as per the latest pattern of the exam. Many alumni of our institute have proven us to be the best amongst all for KVs coaching. Our experts guide the candidate in such a way that it becomes easy for them to clear the exam. Strategy of the exam and certain tips are taught to the candidate to get through this exam easily. 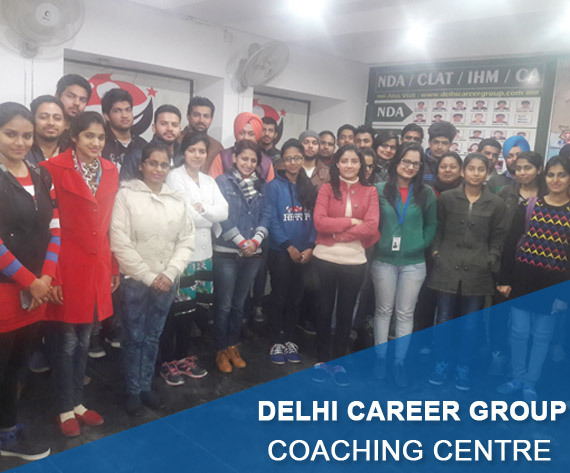 Delhi Career Point caters to the needs of both graduates and under graduates and help them to make strategies to meet their goals. We are the leading educational services providers in the field of various career oriented examinations like GATE, IES etc. for engineers. Our institute is one stop destination for all career related needs of Engineer. Our institute runs flexible modules as per the needs of our students. Our ultimate aim is to help students reach their career dreams. Our faculty helps in the development of basic conceptual understanding, to resolve modern engineering application problems. Our expert faculty panel train the candidate to appear in the exam confidently. The goal of regular classroom coaching is to increase achievement by helping the students Resolve their doubts, Reduces the habit of silly mistakes,, Ensure better study and Proper understanding of their subjects.GATE exam contains the questions of two different types in different papers. It consists of multiple choice questions and numerical answer questions. The questions of GATE exam are planned in such a way that checks the recalling, comprehension, application and analysis abilities of a candidate. Negative marking is applicable in GATE exam. Aptitude questions are asked from Engineering sciences and life sciences. GATE exam for all the papers will be carried out on computer screen where the candidates will be shown the questions in a random sequence on a computer screen. Coaching is very essential to get all information about the exam at trusted place. Candidate must join the coaching institute that has good success rate in GATE exam. Previous results and quality of teachers will help you in identifying the perfect place for GATE exam preparation. Engineering is considered to be the most lucrative and demanding career choice with different job types. There are many streams of Engineering and each stream offers the different job. Engineers are said to be highly paid that is the reason youth is behind this. Engineering secure the future of the candidate. To become engineer the candidate need to clear competitive exam for the same. IES, PSU & SSC JE Exam are the recruitment tests for engineers. Candidate need to take this exam to secure their position in government sector as engineer. This exam selects the candidate on the basis of performance in written test and interview. •	IES i.e. Indian engineering Service comprises of two sections one objective type questions and second conventional type questions. This section will cover the engineering subjects. •	PSU i.e. Public sector undertaking elects the candidate on the basis of performance in written test which comprises of technical and aptitude round. In technical round engineering streams questions re covered and in aptitude general awareness, English, reasoning is covered. More you score more chances you get for recruitment. •	SSC JE exam is conducted for recruitment of junior engineer in government sector. The selection criteria comprise written exam and interview. Candidate from the engineering stream can take this exam to secure the position in government sector. Any coaching institutes are preparing the candidate for these exams. The study material provided at coaching institute proves to be very helpful to the candidates. The study material gives the idea about the exam pattern and tips and tricks to crack the exam in first attempt. Regular practice, dedication and focus are what make the candidate clear the exam.